As part of continuing efforts to boost transparency by multinational enterprises (MNEs), 31 countries signed today the Multilateral Competent Authority Agreement (MCAA) for the automatic exchange of Country-by-Country reports. The signing ceremony marks an important milestone towards implementation of the OECD/G20 BEPS Project and a significant increase in cross-border cooperation on tax matters. The leaders of the world’s 20 largest economies today endorsed overhauled global standards to crack down on tax avoidance and recognised the important contribution made by the OECD to help the Turkish presidency in achieving the goal of more inclusive growth. Pushing forward efforts to boost transparency in international tax matters, the OECD today released a package of measures for the implementation of a new Country-by-Country Reporting plan developed under the OECD/G20 BEPS Project. 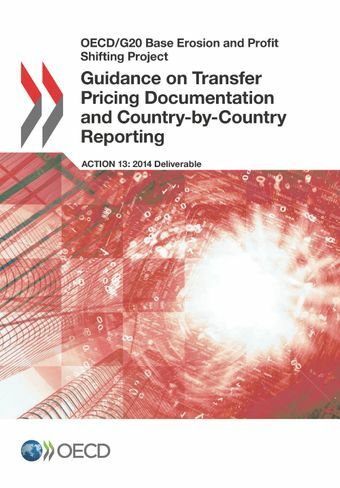 The Country-by-Country Reporting Implementation Package will facilitate a consistent and swift implementation of new transfer pricing reporting standards developed under Action 13 of the BEPS Action Plan, ensuring that tax administrations obtain a complete understanding of the way multinational enterprises (MNEs) structure their operations, while also ensuring that the confidentiality of such information is safeguarded. A key objective of the BEPS project is to increase transparency through improved transfer pricing documentation standards - including through the use of a country-by-country reporting template that requires multinationals to provide tax administrations with information on revenues, profits, taxes accrued and paid, along with some activity indicators. The new guidance presented to the G20 requires country-by-country reporting by multinationals with a turnover above EUR 750 million in their countries of residence starting in 2016. Tax administrations will begin exchanging the first country-by-country reports in 2017 . Countries have emphasised the need to protect tax information confidentiality.